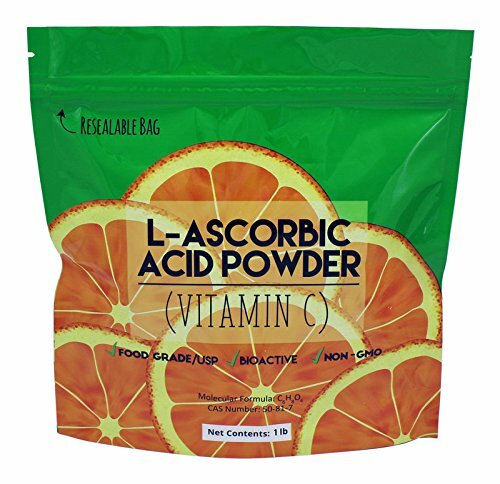 L-Ascorbic Acid, also known as Vitamin C, is a powerful antioxidant that promotes a healthy immune system. 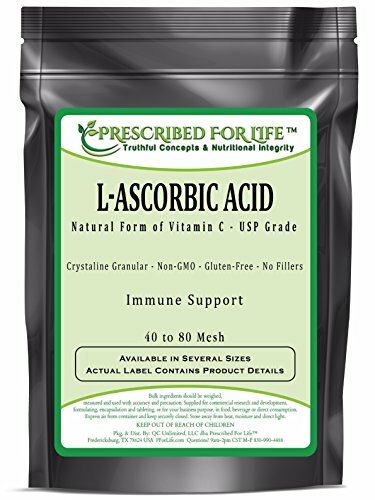 Ascorbic acid is required by the body to carry out many vital functions and is an essential nutrient. Vitamin C is used to transport energy to the cells and improve regular body processes. Ascorbic acid may also assists with collagen synthesis for connective tissues and joints, as well as playing a structural role for bones, cartilage, and teeth.This ingredient may be added to foods and beverages or smoothies and green drinks. It is a pure white powder and has no fillers or binders, additives or preservatives. Various sizes available for personal use and quantity discounts available on bulk-packed foods and food powders for commercial uses. Only the highest quality natural food and bulk ingredients are sourced through family-owned Prescribed For Life Nutrition. Thank you for shopping with us and please come again! Where Science Works Naturally Pharmaceutical Grade 100% Pure Vitamin C Dietary Supplement Vegan and Hypoallergenic Nitro Pak - Naturally Fresh - Bacteria Free Environment Our Promise and Guarantee: We use only 100% pure pharmaceutical grade L-ascorbic acid USP-FCC* (C6H8O6) which contains no corn residue, plant antigens, or protein impurities. Individuals allergic to corn or yeast can use this product with confidence. pH 2.1† Made without Gluten or GMOs *United States Pharmacopoeia - Food Chemical Codex †Measure of acidity/alkalinity (neutral pH is 7.0) Highly Soluble NutriBiotic Ascorbic Acid is 100% pharmaceutical grade vitamin C, an essential nutrient beneficial to the body's overall health. This highly soluble form of vitamin C provides antioxidant protection to the immune system. It has several purposes including maintaining and developing healthy bones and tissue, and plays important roles in many biochemical reactions. Since vitamin C is not produced by the body, it must be replenished daily. 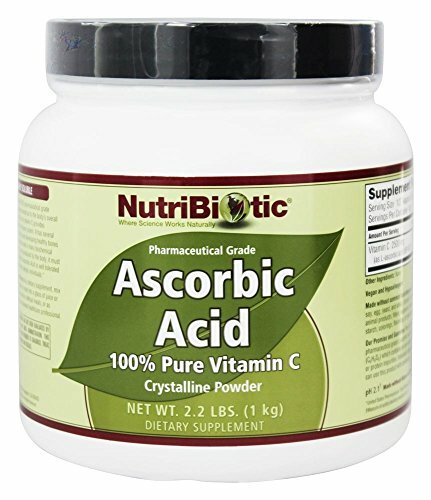 NutriBiotic Ascorbic Acid is well tolerated by most highly allergic individuals. 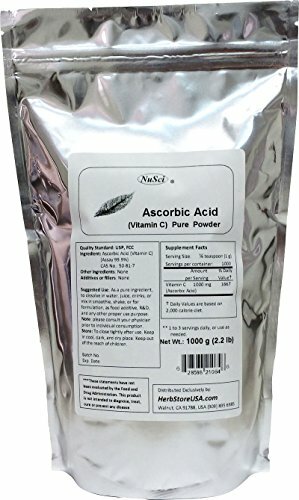 NutriBiotic Meta-C and Ascorbic Acid Bundle with Vegetable Lubricant, Gelatin, Vitamin C and Lemon Bioflavonoid Complex, 100 ct, and 8 oz. 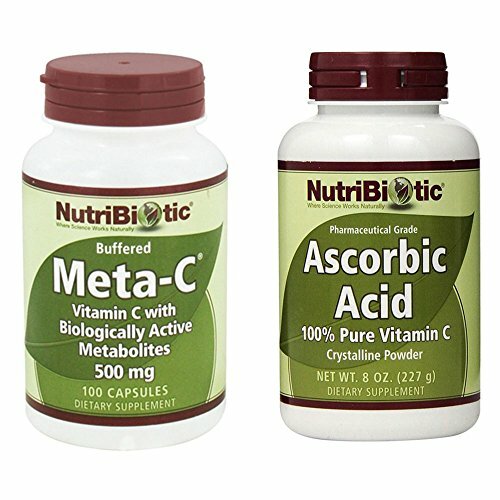 Meta-C: Meta-C® is a unique, buffered vitamin C that is water-processed at low temperatures with calcium, resulting in high solubility and bioavailability with an alkaline pH similar to blood. 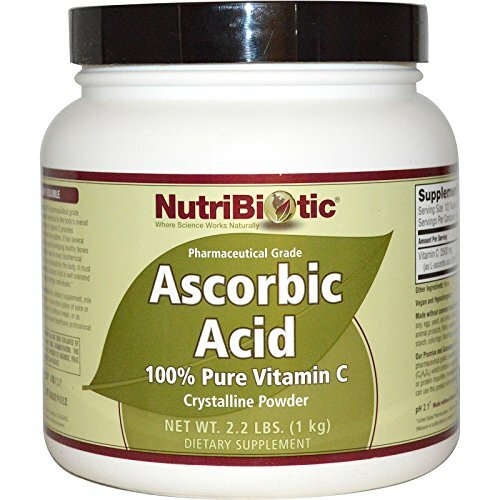 Ascorbic Acid: NutriBiotic Ascorbic Acid is 100% pharmaceutical grade vitamin C (L-ascorbic acid), an essential nutrient. 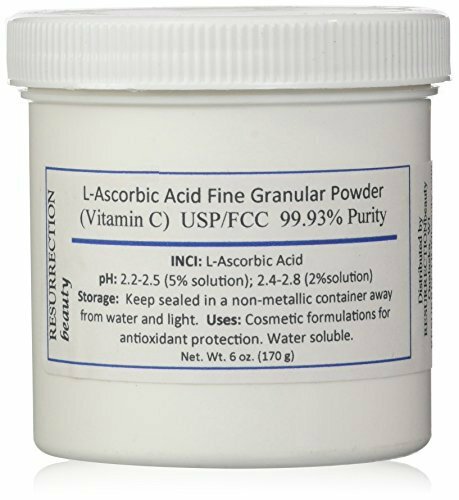 This fine crystalline, easy-to-mix, highly soluble powder is ultra-pure. 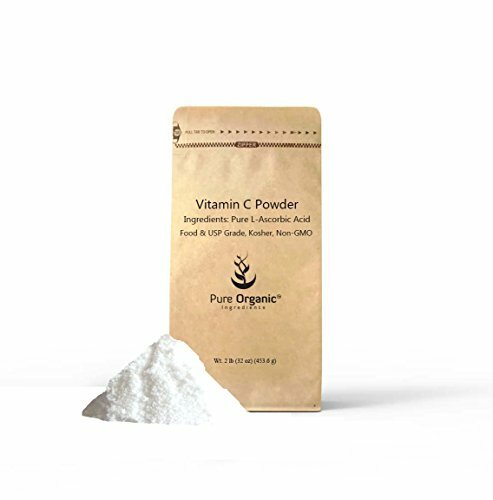 Each serving supplies 2500 mg of vitamin C.
Looking for more Ascorbic Acid Crystalline Powder similar ideas? Try to explore these searches: Square Bevel Single, Super Graphic, and Cabin Advent Calendar. Look at latest related video about Ascorbic Acid Crystalline Powder. Shopwizion.com is the smartest way for online shopping: compare prices of leading online shops for best deals around the web. Don't miss TOP Ascorbic Acid Crystalline Powder deals, updated daily.